Tomorrow, Sunday, November 4 marks the beginning of Restaurant Week at The Promenade Shops at Saucon Valley in Center Valley, PA. Each restaurant at The Promenade will be offering special multi-course lunch and dinner menus at fixed prices. Not to be left out of the fun, the other eateries in the shopping center will also be featuring specials for their customers for a limited time. 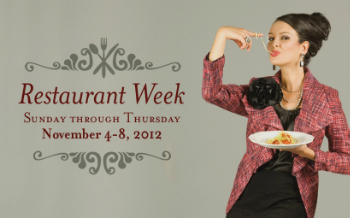 Restaurant Week runs through Thursday, November 8, so be sure to check out the menus and make your reservations before everything books up!